The Dark Lord of Trance himself, Oberon has long been a formidable force in the scene. 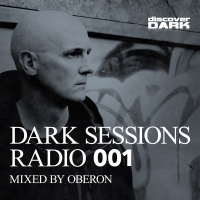 As A&R of the Discover Dark label and having curated and mixed the Discover Dark 100 album, Oberon is also the host of the monthly 'Dark Sessions Radio' series. This year sees the reissue of Oberon's Dark Sessions Radio shows as complete digital download and streaming releases. Each album contains a continuous mix put together by the man himself and is exemplary of his outstanding mixing ability. 'Dark Sessions Radio 001 (Mixed by Oberon)' is available now from Beatport and iTunes.